A MAN IN his 30s has appeared in court over an incident in Dublin earlier this week. He was arrested on Monday after gardaí were called to the Poppintree area of Ballymun amid reports of a man with a gun. He appeared before the Criminal Courts of Justice this morning, charged in connection with this incident. 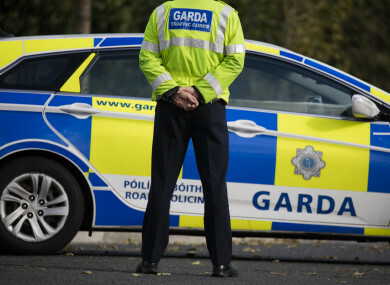 At about 4.45pm on Monday, garda armed support units and local units were dispatched to the scene in Ballymun. The man was arrested shortly afterwards by unarmed gardaí and a firearm was recovered at a house on Cranogue Road. The area around the house was sealed off due to the discovery of a device in the house and the Defence Forces bomb disposal team attended the scene. The man was detained at Ballymun Garda Station under the provisions of Section 30 of the Offences against the State Act. Gardaí have appealed to any witnesses who may have been in or around the area at the time of the incident to contact Ballymun Garda Station on 01 666 4400, the Garda Confidential Telephone Line on 1800 666 111 or any garda station. Email “Man appears in court over gun incident in Ballymun ”. Feedback on “Man appears in court over gun incident in Ballymun ”.